NVIDIA has announced a new variant of last year’s Titan X based on the Pascal architecture, mercifully called the Titan Xp so there is no more confusion. The Titan Xp is a spec boost over last year’s Titan X Pascal and gets back the crown of the fastest graphics card available on the market from the 1080Ti. The CUDA core count goes from 3584 to 3840. The base clock speed hasn’t been specified but the boost clock speed goes from 1531MHz to 1582MHz. The floating point performance has gone from 11 TFLOPs to 12 TFLOPs. Meanwhile, the memory remains the same 12GB GDDR5X but the memory speed has been increased from 10Gbps to 11.4Gbps with the memory interface being the same 384-bit. The memory bandwidth has now gone up from 480GB/s to a colossal 547.7GB/s. Apart from that the two cards are identical, with exact same design, connectivity, as well as thermal and power characteristics. Now, here’s the interesting part. 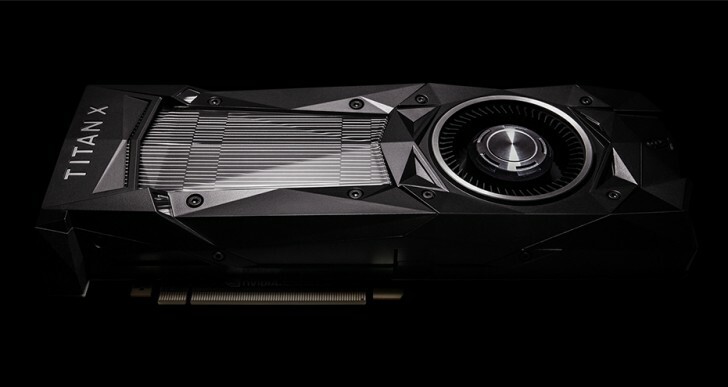 NVIDIA is going to make drivers available for the Titan Xp along with other Pascal graphics cards on macOS. These drivers are expected to be arriving some time this month. This is rather curious timing, as it was only couple of days ago that Apple announced working on a new Mac Pro that will have upgradable GPU design. Still, that is not coming any time soon but for the time being you will be able to make a Hackintosh system using the Titan Xp or any of the other 10-series Pascal graphics cards. The Titan Xp is priced at the same $1200 as the outgoing model.